What tools do you use to generate exciting leads and attract new customers? How do you present your products, services, and offers and do you manage to entice your target audience? Are you fond of or engaged in digital marketing and video making? Video marketing is a feasible solution which can bring guaranteed results: it can attract the attention of your target audience, stimulate specific action or behavior – but only if it’s done correctly. If you’re among the people who understand the importance of video marketing to the development of their business, then you might be interested in learning more about some new cost-effective tools that can help you meet your marketing goals by creating powerful video content. If you’ve been wondering what means you should use to share your company message in an appealing, engaging and professional way, wonder no more. There’re some effective and affordable software programs like Viddyoze Live Action and Video Producer Pro that can deliver great results and even save a significant part of your budget allocated to video marketing. Video Producer Pro is an amazing easy-to-use software for quick creation of highly converting, professional looking videos. And Viddyoze Live Action is an animation engine that is nothing like the other animation creation software tools which you have seen on the market. How do they work and why are they gaining so much attention recently? What are the pros and cons of these programs? Let’s check out. Viddyoze Live Action has been recently launched by Joey Xoto, Jamie Garside and David Chamberlain, trusted serial software entrepreneurs and developers with long experience in the online video-making field. 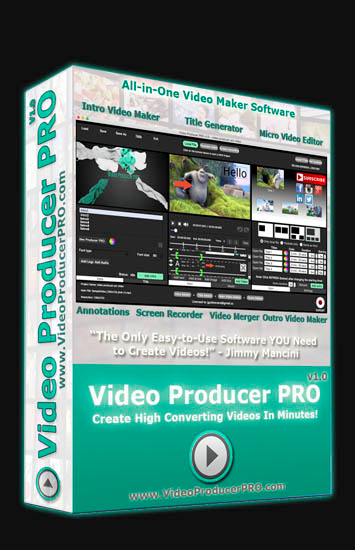 Video Production Pro has been developed by Jimmy Mancini, who also has a long history in releasing top software products: some of his most recent projects include YouTube Research Software, eBay Gold Digger system, YouTube Ranking System and others. 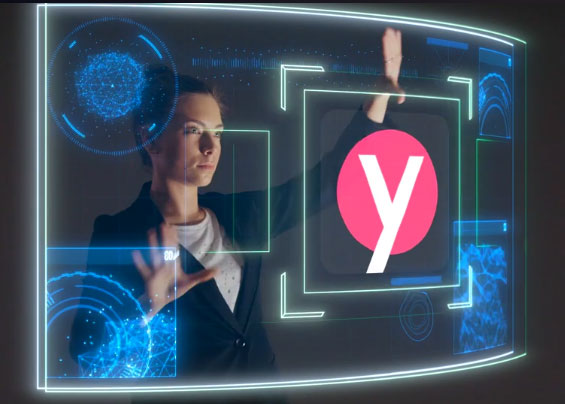 Curious about the new trends and developments in the industry, we decided to test and review Viddyoze Live Action and Video Production Pro and see if they’re really worth your time and money. When we took a first look at the Video Producer Pro dashboard, we immediately noticed that it’s an extremely easy-to-use video making software. With Video Producer Pro, you can create stunning A-class videos: you can easily make animated intro, outro and title videos; edit micro videos; merge images and videos; download and upload YouTube videos. and 10 HQ Intro music tracks. According to the company website, the price of all these awesome features accounts to about $650. But you can have them as part of a package, which costs only $97. The company currently offers 2 additional bonuses to those who purchase their product: 5 extra 3D animations (valued at $75) and YouTube External Link Training Video. With Viddyoze Live Action, you’ll not face any stress and frustration that are usually associated with some other programs, which are more difficult to master or are more expensive. 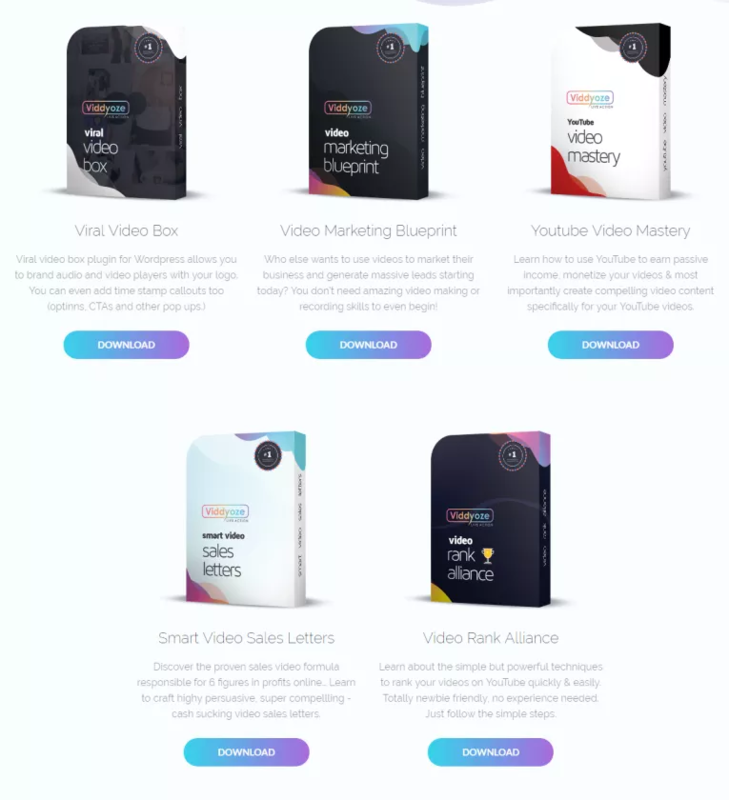 Viddyoze includes a wide range of templates which you can customize right away: create spectacular videos, include specific captures and messages with strong calls to action that can motivate your potential customers. Viddyoze includes a huge collection of video filters that you can use to make more effective animation videos with a more impressive catchy look and thus improve the overall experience of your viewers. information on powerful ranking techniques. Viddyoze can help you take your animations steps up in terms of quality. The package includes many useful features, but how can you take advantage of them? These software tools can help users transform the old and boring videos into excellent video marketing products and help businesses cut down considerably the time spent on video creation. You can use Viddyoze Live Action or Video Producer Pro to create engaging and enticing videos; apply some stunning effects and build some unique high-quality intros, titles, and outros. These video-creation software programs can lead to amazing marketing results: gain visibility and reach out to the smartphone generation and in the meantime save lots of time and money promoting products and services. Such videos can significantly increase the traffic to your channel, improve your rankings and authority, translate into higher sales. Video Producer Pro and Viddyoze are perfect for commercial use: for companies that want to create professional branded videos for their business or services and for users who want to get extra income by creating or editing videos. If you’re into video creation, use Viddyoze Live Action or Video Producer Pro simply to enjoy the process and impress your relatives, friends, and colleagues. I’m sure you’ll be impressed by the intuitive interface of Viddyoze: it’s really easy to manage, enabling you to create videos quickly with just a couple of clicks. Simply choose an animation template from a rich collection of template designs and customize it to your preferences: upload your logo, crop, edit your images to enhance your animation design, and make sure that it matches your business marketing objectives. 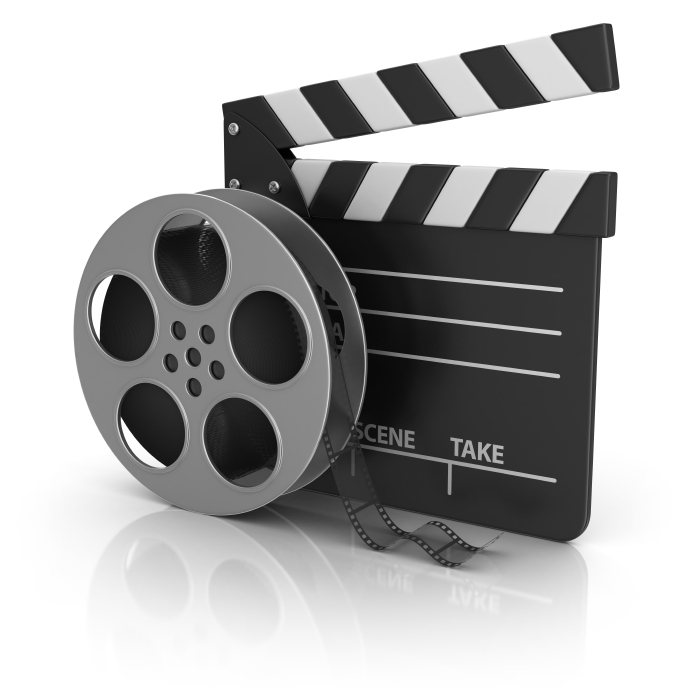 Viddyoze is an extremely user-friendly software tool; it makes the whole video making process simple and pleasant. Due to its intuitive interface, Viddyoze Live Action can be used by both beginners and advanced users. The software will render your video into an MP4 file, which is compatible with most social media platforms and video editors. That is, you can further edit it in another software program if needed. Use the Viddyoze animations to complement or set the basis of an effective digital marketing strategy: the animations can be easily shared, viewed and liked on social media platforms, vastly enhancing your standard marketing and social media promotions. However, we recommend that you choose Video Producer Pro if you’re an online coach or trainer and you want to do screen recordings. 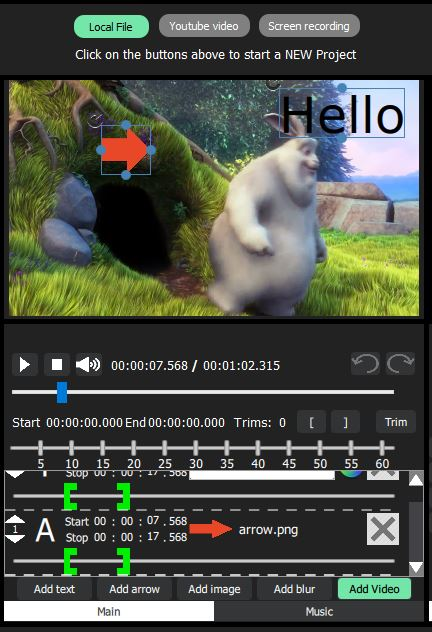 Video Producer Pro can record your important screen actions in just a few minutes: you don’t need to view any specific training. You can create high-quality tutorial videos for your product and generate higher profit without investing much money. Both Video Producer Pro and Viddyoze Live Action can work on a PC (Windows 7, 8, 10) or Mac (the latest OS update). Viddyoze Live Action is a cloud-based program and doesn’t require installation on your computer. However, you’ll need to allocate at least 4GB RAM for Video Producer Pro; I’ve included this information because I guess you too want to make sure that it operates correctly without causing any system fails. Due to its intuitive interface, Viddyoze Live Action can be used by both beginners and advanced users. As long as you have some general technical knowledge, you’ll be more than qualified to use the software programs and create high-quality videos super fast. Judging from our experience and testing of both software programs, I don’t think you’ll run into any challenges while creating your videos with Viddyoze. However, even if you run into an issue, you just need to contact support to receive the help and guidance you need. You will simply adore the fact that both software products are at a much more affordable price in comparison to other video making tools available on the market. What is more, the features that are included in each package cannot be found in another software at such incredible price. Viddyoze Live Action is an amazing web-based video-making platform. 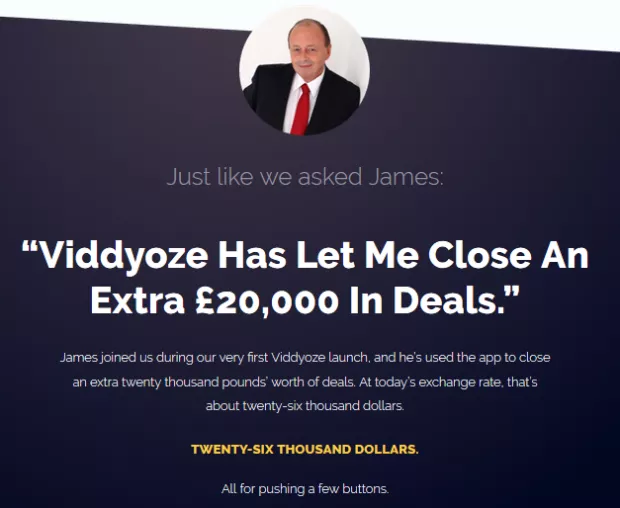 With Viddyoze, users can attract new leads with effective animations. They can design impressive custom video content and include it in their marketing campaigns on social media platforms, blogs, and websites. You can learn more about Viddyoze Live Action or purchase it by clicking here. It is perfect for anyone who is looking for a unique software program that pushes the boundaries of the possible and creates new standards in the video making and editing industry. Video Producer Pro is also a great all-in-one software for high-quality video creation. If Video Producer Pro has grabbed your attention, you can purchase it with a one-off payment of $97. Please, bear in mind that this is a limited time offer: according to the company website, the price will go up or the software will be taken out of the market as soon as they have reached the total number of units available. Like what you’ve read? Please, don’t forget to write your impressions in the comments. Nice. I always assumed video marketing was so expensive.